easyJet is celebrating International Women’s Day 2018 with more female pilots flying on one day for the airline than ever before. It’s believed to be a European record for the most female pilots rostered by an airline in one day. With more than 100 female pilots on today’s roster, 60% of easyJet’s female flight crew have come out in force to take part in a campaign which is using the hashtag #SheFlies to raise awareness for the airline’s Amy Johnson Flying Initiative, a campaign by the airline to encourage more women to become pilots. Today, easyJet’s female pilots will fly from 24 bases in eight countries, to hundreds of destinations across the airline’s European network. Women will be flying almost a quarter of today’s schedule meaning around 45,000 passengers will be flown by a female pilot today and in some cases, an all-female crew. Six all-female crews – a female Captain, First Officer and four female cabin crew – will fly between London, Bologna, Rome, Milan, Munich, Barcelona, Amsterdam and Agadir. 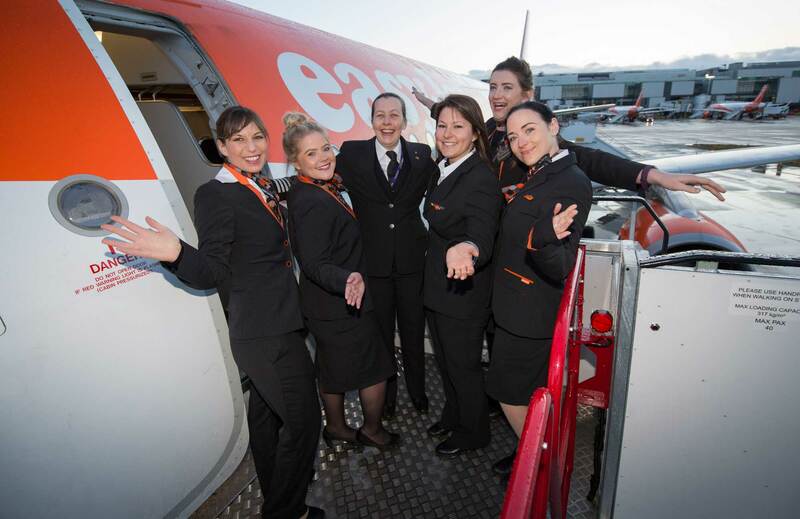 easyJet has rostered more all-female crews on IWD2018 than ever before. 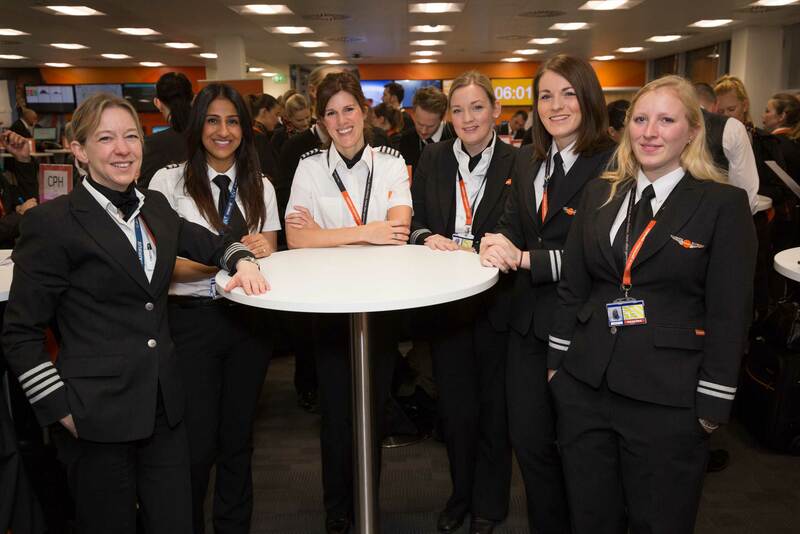 Captain David Morgan, Director of Flight Operations at easyJet, said, “easyJet is working hard to encourage more women to join this hugely rewarding profession and I believe that no other airline is doing more on this issue. “Last week we announced a partnership with Girlguiding UK and the sponsorship of a new aviation badge to inspire young girls at an early age and our pilots have visited over 140 schools since launching the initiative to inspire the next generation of pilots.